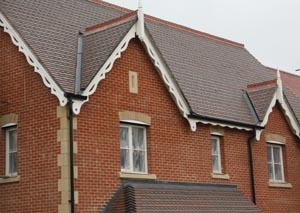 This is a high quality residential carehome in Bishopstoke. 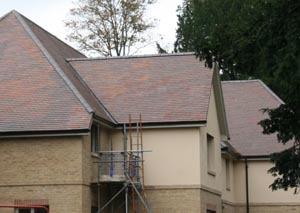 The architects had always felt that clay tiles would be the right roofing material to create a village feel, but tight budgets allowed only for concrete which did not fit with the 19th Century Mount and the beautiful surroundings of Bishopstoke Park. Dreadnought Commercial tiles have not been graded as best quality for a variety of reasons. Quality control at Dreadnought is rigorous and some tiles may be irregular in their shape or their colour, or contain small cracks above the water line. These irregularities will not affect performance and the tiles come with a 30 year guarantee. Dreadnought's Commercial tiles represent excellent value and fit both the budget and the quality requirements for this project. 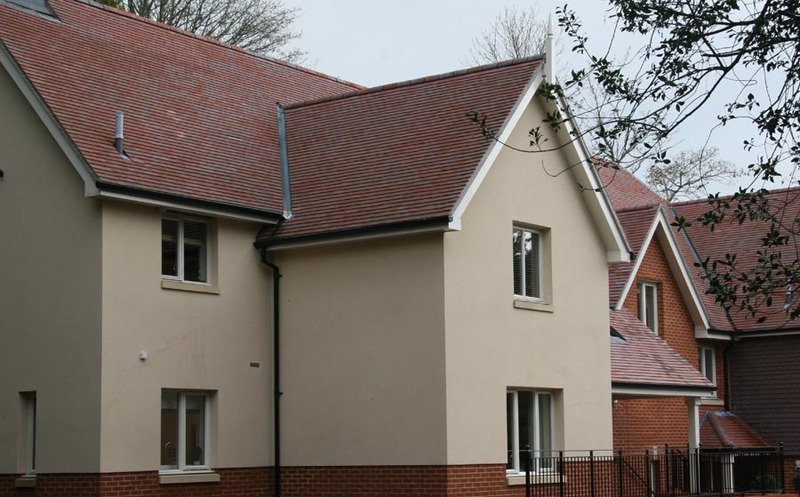 Each building at Bishopwood Park uses a different colour of Dreadnought commercial quality roof tiles to accentuate the village feel. 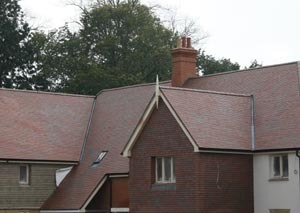 The use of clay tiles gives a high quality finish to this luxury retirement viallage and blends in well against the newly renovated and restored 19th Century Mount.